You can expect a timelessly well-equipped half-timbered house of idyllic nature, surrounded by beautiful forests and lush meadows. With approx. 125 m² of living space divided into two separate apartments with their own entrance. Both apartments have a spacious living / dining area with TV, own kitchen, 2 bedrooms bathroom and toilet. The non-smoking house with about 550m² floor area, terrace barbecue at the end of the street invites you to linger. W-Lan, including, bed linen & towels you are welcome to book there but also bring. 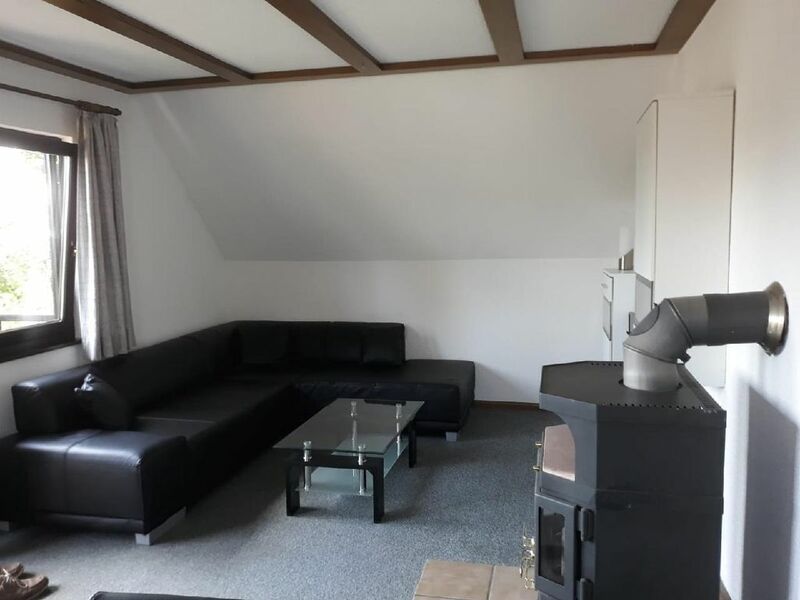 Frankenberg, Korbach, Willingen, Bad Wildungen as well as the Edersee can be reached in a few minutes by car, Winterberg invites you to go skiing in the winter and even in the summer months you can experience a lot. In a few minutes you reach the Kellerwalduhr and the adjacent National Park Kellerwald. Pet: once per animal costs 12 EUR (compulsory). Electricity KW consumption: per object and day according to consumption (obligatory). Water m³ according to consumption: per object and day according to consumption (obligatory).